After almost one-and-a-half years of unsuccessful attempts to revive the firm, the Anil Ambani-led debt-ridden Reliance Communications (RCom) Board decided on Friday to take the firm to the bankruptcy court. It decided to move the National Company Law Tribunal (NCLT) under the Insolvency and Bankruptcy Code, 2016. The Board decided to seek fast-tracking the debt-resolution plans through the NCLT, Mumbai. The firm’s Board reviewed the progress of the RCom’s debt resolution plans since the invocation of strategic debt restructuring (SDR) in 2017. The Board noted that despite the passage of over 18 months, lenders have received zero proceeds from the proposed asset monetisation plans, and the overall debt resolution process was yet to make any headway, RCom said. “Accordingly, the Board decided that the company will seek (to) fast track resolution through the NCLT, Mumbai. The Board believes this course of action will be in the best interests of all stakeholders, ensuring comprehensive debt resolution in a final, transparent and time-bound manner within the prescribed 270 days,” the company said. The Board cited lack of approvals and consensus on important issues as the primary reason for its decision. “Lack of 100 per cent approvals and consensus, as mandated by the RBI’s February 12, 2018, circular, on all important issues, among over 40 lenders, Indian and foreign despite the passage of 12 months and over 45 meetings. Further, the pendency of numerous legal issues at high courts, the TDSAT (Telecom Disputes Settlement and Appellate Tribunal) and the Supreme Court impeding progress at various stages has also kept the issue on hold,” RCom said. An official of SBI, which is leading the consortium of RCom’s lenders, said the bank was not worried about RCom moving the NCLT. “RCom is a non-performing asset for us since many quarters. The bank has made provisions for this and we are not worried,” the official said. Some industry sources have, however, raised concerns that if RCom were to move the NCLT, it might impact Jio’s spectrum sharing deal with the company. 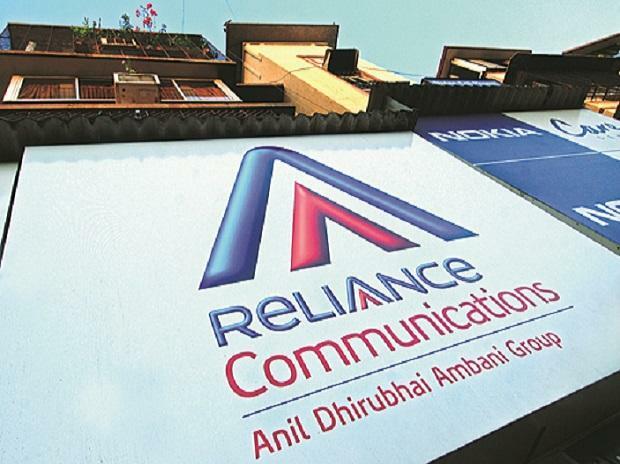 RCom’s statement noted RCom and only two of its arms, Reliance Telecom and Reliance Infratel, will take appropriate steps shortly to implement the Board decision. “There will be no impact on the business and operations of other subsidiaries of the company,” it said. RCom has to pay Rs 550 crore to Ericsson as part of an agreement it had reached with the latter in the National Company Law Appellate Tribunal (NCLAT). Apart from Ericsson, the Anil Ambani-led firm has to clear the debt of nearly 39 financial lenders and operational creditors. RCom also has to make a payment of Rs 230 crore to RCom’s minority shareholders of Reliance Infratel, including HSBC Daisy Investments. In December 2017, Mukesh Ambani’s Reliance Jio announced a deal to acquire his younger brother's RCom’s wireless infrastructure assets, including towers and spectrum, at an estimated price of almost Rs 25,000 crore, which Jio had to extend in December 2018 after the RCom failed to get a go-ahead on the matter from the telecom regulator. In December 2018, the apex court had asked RCom to furnish a corporate guarantee of Rs 1,400 crore, following which the Department of Telecommunications (DoT) had to give it a no objection certificate (NOC) for the RCom- Jio spectrum sale deal. However, the DoT reversed its stand following Jio's letter, seeking assurances from the government that it won’t be held liable for RCom’s past dues related to airwaves. Now, Jio has extended the terms of their asset sale agreement by another 6 months. Jio is expected to acquire 122.4 MHz of 4G spectrum in the 800/900/1800/2100 MHz bands, over 43,000 towers, around 178,000 route km of fibre with a pan-Indian footprint, and 248 media convergence nodes, covering 5 million sq ft used for hosting telecom infrastructure. These assets are expected to contribute significantly to the large-scale roll-out of wireless and fibre to home and enterprise services by Jio. In August 2018, RCom completed part of the sale of its fibre and related infrastructure assets, worth Rs 3,000 crore, to Jio in a transaction covering fiber assets of over 178,000 km across the country. In the same month, RCom reinstated bank guarantees worth Rs 774 crore with the DoT ahead of the timeline set by the TDSAT and asserted that its Rs 25000 crore asset sale plans are "on track". RCom has been urging the telecom department to grant it the "long-awaited no-objection certificate" to comply with a Supreme Court order in "letter and spirit".